After almost 20 years as a Guidance Counselor at Ridgewood High School, Claire founded Clear Directions to provide the quality of time and counseling required to assist students and enhance their success as they navigate the admissions process. 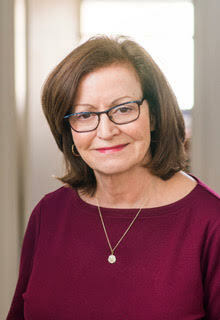 Claire is a recognized leader in the profession having served as President of the New Jersey Association for College Admission Counseling (NJACAC) and has served on the Board of Directors of the Higher Education Consultants Association (HECA). Claire has presented at many professional conferences alongside admissions leaders.These professional connections, as well as continuing visits to colleges help all the counselors at Clear Directions stay informed of the latest trends in admissions. The most satisfying aspect of Claire’s work is building relationships with and supporting wonderful high school students and their families. Peg Loonam has worked with young people for almost thirty years. She is a certified Guidance Counselor and the former Director of Guidance at Ridgewood High School in New Jersey. After retiring as a school principal, Peg joined Clear Directions. She spent 15 years, visiting colleges, attending and presenting at annual college conferences and working closely with admissions representatives as she advocated for her students. She is a member of the New Jersey Association of College Admissions Counselors and Higher Education Consultants Association. Peg enjoys “the gift of time” with her clients. After working in a school system for many years, she sees the benefits of being able to allot as much time as necessary for each of her clients and their families. 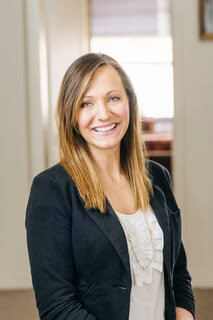 Meaghan holds a Bachelor of Arts degree in Psychology and a Master of Arts degree in Educational Counseling. As a certified Guidance Counselor, she has extensive experience working with students in both the public and private school settings. She has also sat on committees with school staff and parents implementing the application of IEP's and 504 plans in the high school setting and can advise on what to look for in future college services. Meaghan is a member of the New Jersey Association for College Admissions Counselors and loves keeping up with the latest college admissions trends. 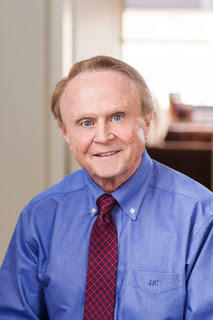 Joseph began his career as a special education teacher and has served as a School Psychologist for many years. He has assisted a range of students with special needs and learning differences. Joseph’s understanding of evaluations, 504 plans and IEP’s provides a valuable resource to Clear Directions’ students and families. Joseph consults at local high schools, and presents workshops to both students and parents about the academic transition from high school to college. Currently, Joseph is an advisor to students at Fairleigh Dickinson University’s Regional Center for Students with Learning Disabilities. Joanne has completed the UCLA Certification in College Counseling, an intense program that included an internship at Clear Directions. She has played a role in all aspects of the college advising process for a variety of students during that internship. 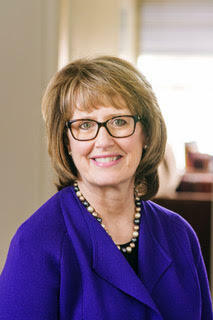 Joanne is a member of the Higher Education Consultants Association ( HECA) and NJACAC. Joanne’s coursework along with her participation in a mentorship program with David Stoeckel, President of the College Recruiting Group,provides the credentials to help advise the college-bound student-athlete. She has first-hand knowledge of this process, as the mother of a recruited college athlete. Joanne’s goal is to help student-athletes achieve the “best fit” college that balances both academic and athletic abilities. She loves working with students as they discover their college aspirations and is honored to be a part of their successful journey.